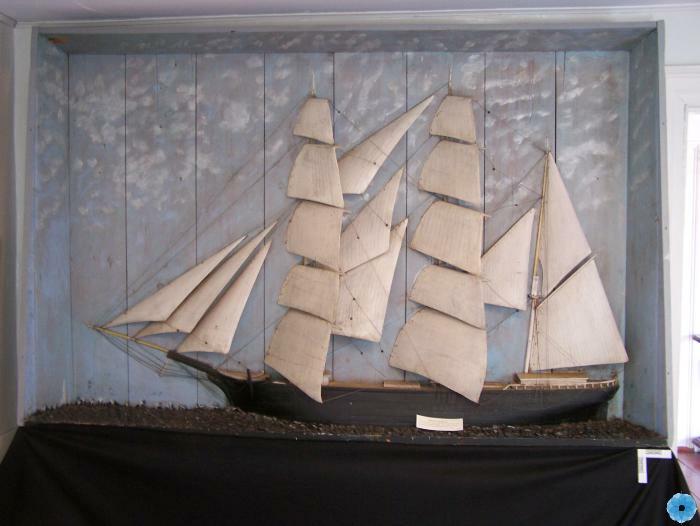 Description: A model of a three-masted ship set on as a diorama. The ship is a barque; the front two masts have square-rigged, rectangular sails while the back mast has triangular sails. Three other sets of triangular sails are present.